Framing Shutters are an integral part of every lighting designer's toolkit. They are found on both conventional and automated lights and serve important purposes. Generally shutters are used to block out light from unwanted areas. Through the use of four variable blades, the light output can be cropped to only certain areas or specific shapes. Shutters are often used to eliminate lighting spill onto set pieces and other elements that need to remain dark. Moving a shutter into a masking position is typically referred to as a "shutter cut." 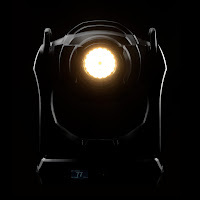 The most common use of shutters within conventional lighting can be found in ellipsoidal spotlights such as the Martin ELP Ellipsoidal fixtures. As with most functions on conventional fixtures, the four shutter blades are manually moved into various positions. In addition, the user can rotate the barrel to achieve different "off-axis" angles with the shutters. Some ellipsoidals even feature locking mechanisms to ensure the shutter cuts remain once set. By adjusting the lens focus or using frost gels, the edge of the shutter may be hard or soft. 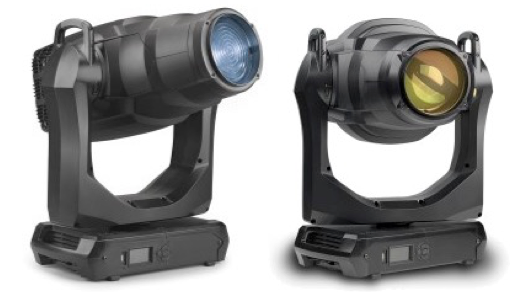 Automated lights such as the Martin MAC Encore Performance and Martin MAC Viper Performance utilize a complex system of motors to provide remote movement of shutter blades. In addition, the entire shuttering mechanism can rotate to provide a similar effect to rotating the barrel on an ellipsoidal. As the pan and tilt of the fixture can change from cue to cue, so too can the framing shutter settings. It is extremely important that the shutter system and its software allow for tremendously accurate positioning of the blades. Shutter blades can also be found in some automated wash fixtures such as the Martin MAC Encore Wash and the Martin MAC Viper Wash DX. The principle is the same, where the shutter blades will cut off light output from particular areas. However, since the fixtures are wash functions and employ Fresnel or other soft lens abilities, the sharp cutoff is of the shutter will appear more subtle. An additional function with automated framing shutters is the ability to create dynamic movement effects by continuously changing the framing shutter settings. This can result is some very exciting looks from the fixture as the shape of the output light constantly morphs into new shapes. Framing shutters have been an important tool for lighting designers for many years and will continue long into the future. Eventually we will see digital shutters that allow for any shape (or mask) that one desires. Until then, conventional and automated fixtures will continue to use metal blades to shape the output and eliminate light from unwanted areas. Martin by Harman has been very busy over the past year releasing a large number of new and innovative products. Many, such as the MAC Encore series have already become industry standards used around the world on countless productions. 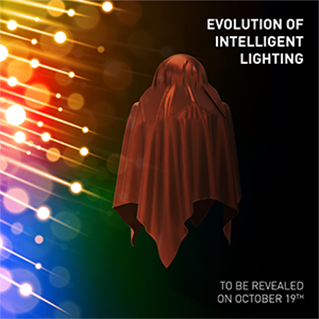 The Martin development team is continuing to create exciting new products, several of which will debut at LDI 2018. 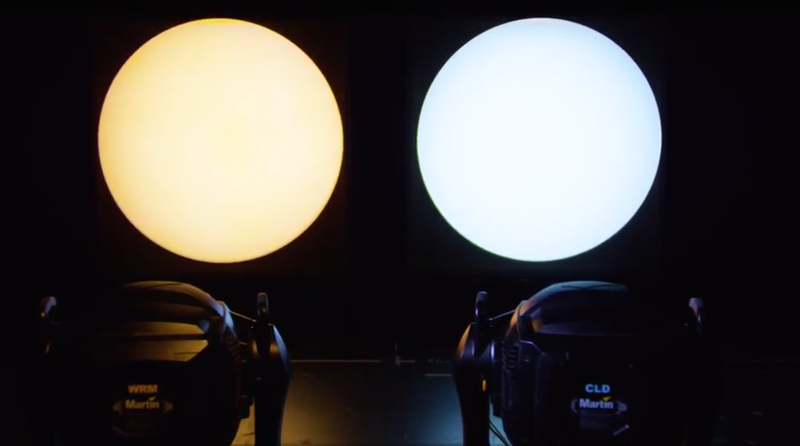 Looking back over the last 365 days, it is easy to see that Martin is expanding in multiple professional lighting markets. See below for descriptions of these newly released products. All the products listed will also be available for demos at LDI 2018 in room N253. 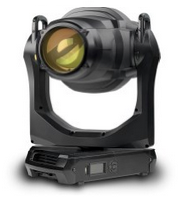 The MAC Encore Performance has raised the bar for LED-based key lighting automated luminaires. With an emphasis on perfection, the MAC Encore Performance is widely used on Broadway, theatre, corporate events, television, and more. With two color temperature engines to choose from, the MAC Encore is the ultimate fixture for stage and studio. A perfect compliment to the performance model, the MAC Encore Wash utilizes a Fresnel lens (or optional PC lens) to provide the smoothest wash possible. The wash includes same high quality light engine, optics, and color mixing as the performance, as well as an internal barn door system. This fun beam fixture produces a tight 4 degree LED beam with RGBW emitters. Plus there is a pixel-mappable ring of RGB LEDs around the primary lens. Added bonuses include continuous pan and tilt and detailed macro functions. As the only new Martin lighting fixture that is not LED based, the MH 11 Beam provides an intense, narrow beam combined with fixed and rotating gobos, prism, frost, and more. This focusable blinder unit utilizes 100W COB warm white LEDs with a 70 degree beam spread. Individual control of the four LEDs allows for interesting effects or direct output. The RUSH BATTEN 1 HEX is is an ultra-bright 12-cell batten color + UV wash fixture with full pixel control. Featuring 12 watt RGBAW+UV 6-in-1 LEDs, it provides intense light for color, white, or blacklight applications. 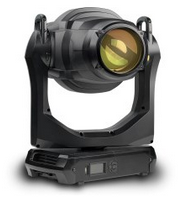 This small and light weight unit outputs a range of vibrant colors from its single lens and RGB engine. The included magnetic lens changes the beam angle from 80 degrees to 14 degrees. Ultraviolet effects are fun in a variety of applications and the RUSH PAR 4 UV is a perfect tool for these jobs. The single lens unit outputs at 400nm for a pure and consistent UV look. 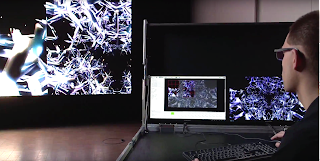 Achieve larger and more dynamic video mapping looks with the VDO Fatron. The four rows of 20mm pixel pitch on this LED video batten blend perfectly with other VDO products. The VDO Dotron can be controlled by Martin P3 or via DMX to allow creative pixels to appear anywhere desired. A wide variety of lenses and diffusers provide a wealth of different looks. 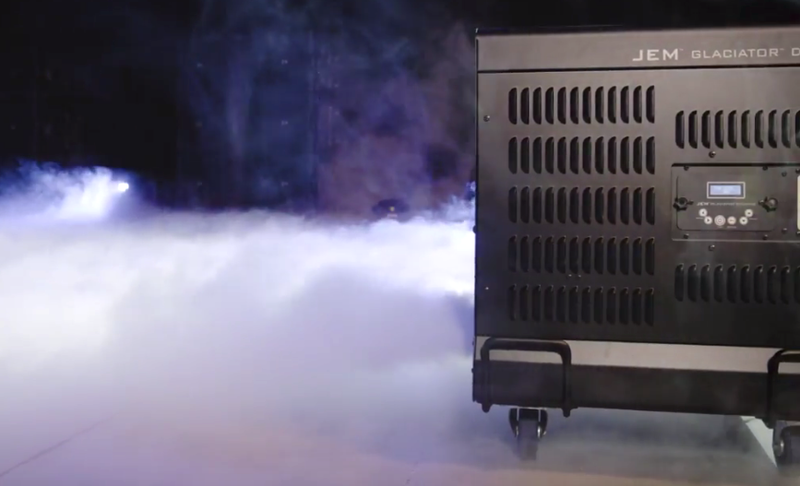 The newest version of the industry standard for low lying fog, the JEM Glaciator Dynamic is smaller, quieter, and capable of taking low lying fog to more places. Learn more about all these great products from Martin by Harman on the official Martin website or visit us at LDI 2018 to see these products and more! We even have a free badge available here. 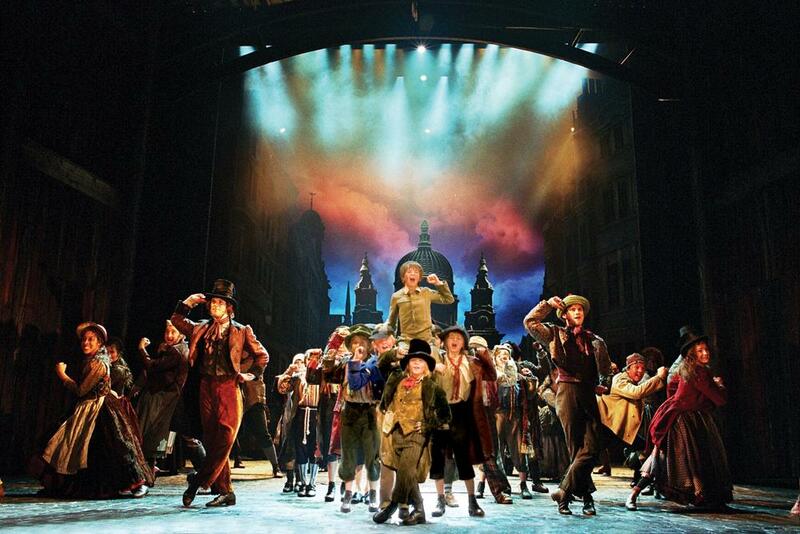 Stage productions have many different technical elements including audio, lighting, video, and atmospheric effects. Harman has several brands that incorporate these various elements, with Martin by Harman providing many options for atmospheric effects. Smoke effects have been documented in stage presentations dating back to the Globe Theatre in the early 1600s. Of course many things have changed since that time, and now Martin offers three unique types of atmospheric effect products. The proper atmospheric effect and fluid should be selected depending on the desired look on stage: Fog, Haze, or Low-Fog. The creation of a thick cloud that looks like smoke is typically the duty of a fog machine. Smoke is created by the burning of a substance, while fog is created by the heating of a fluid to create a vaporized cloud. 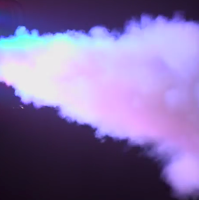 Fog machines use specific fluids that allow can alter the fog behavior. For instance, a quick dissipating fluid will create a cloud that disappears rather rapidly. This is ideal for a stage illusion or burst effect. Standard fluid may linger on stage longer and be better for the replication of smoke from a chimney, engine, or other device. High Density fluid creates thicker clouds and is best for heavy puffs that are not very translucent. Martin has quite as extensive range of fog machines available to fit various budgets and stage needs. All include both manual and DMX control options, as well as the ability to adjust the volume (or thickness) of the fog and the duration of emission time. The very nature of light allows it to only be seen when it illuminates a surface. For this reason, many productions make use of atmospheric haze to reveal the beams of light in the air. A haze machine will create a fine "mist" in the air that can persist for long periods of time. Only specially developed haze fluid should should be used with these type of products. Some haze machines will simply have an on/off function. Others provide adjustment of the haze density, and even a fan to control the velocity at which the haze leaves the machine. Low-fog machines are similar to a standard fog machine in terms of the type of clouds they produce. However, the difference is that the fog is rapidly cooled so that it remains close to the ground. This cooling can be achieve via a variety of methods, some utilizing dry ice or industrial gasses. Other low-fog machines such as the Martin Glaciator contain internal chillers for the simplest low-fog creation. Just like a standard fog machine, low-fog machines have various fluid types available to provide different densities and duration of the low-fog. 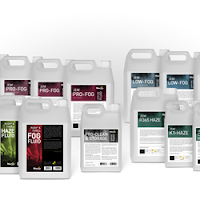 It is essential to always use ONLY the recommended fluid for a specific atmospheric product. Utilizing the wrong fluid can not only damage the machine, but it can also lead to safety and health problems. To determine which Martin fluids are compatible with which machines, refer to this chart. Martin has also created a universal cleaning fluid that should be a part of any atmospheric machine maintenance routine. Martin Clean & Storage Fluid is specially designed for optimizing performance while providing longevity of any effect machine. The use of this advanced preventative maintenance fluid on a regular basis reduces clogging and further extends the life of Martin atmospheric effect machines. 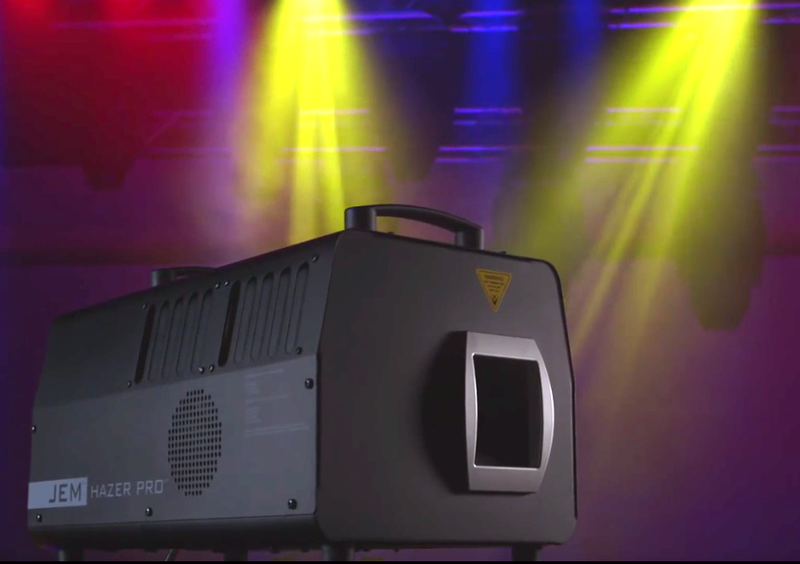 Productions require different types of atmospheric effects and Martin has a complete product line of options to choose from. Selecting the correct model of machine and fluid is essential to a successful production. 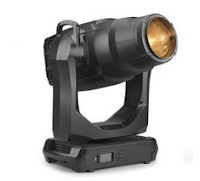 Since their introduction, the Martin MAC Encore Performance and Wash fixtures have become industry staples in many productions worldwide. While LD's and programmers are busy making use of the common features in these exceptional fixtures, there are several key features that further enhance the fixtures' capabilities. Often overlooked, these five powerful functions add to the potential of the MAC Encore series. The MAC Encore Performance and Wash have a mode that can be enabled from the fixture menu (Personality/Pan/Tilt/Followspot Mode) that enables the fixture to be used as a manually positioned followspot. The fixture will ignore DMX commands to the pan/tilt channels, but still respond to all other DMX inputs. When in this mode, the pan and tilt motors are energized so that they act as a gentle brake, thus providing a damped feel and smooth control for the operator. It also prevents the head from moving when the operator removes his/her hands from the fixture. The setting is retained even with power cycles to the fixture. 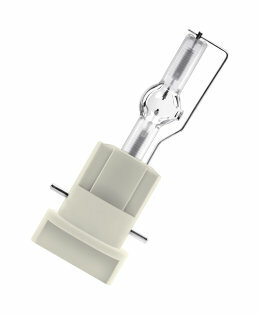 Originally introduced on the Martin MAC Quantum Profile, the unique Animotion effect provides revolutionary control over the fixture's light source. A selection of dynamic chases adjust the intensity of LED segments within the light engine via various patterns. Users can select between different effects, adjust the speed of the effects, and now with the MAC Encore series even crossfade in/out of the Animotion effects. Using the Effects channels, simply select one of the Animotion effects (DMX 30-38) on FX1 Selection or FX2 Selection (DMX channel 34 or 36). Then adjust the speed of the Animotion effect on the adjacent DMX channel: FX1 Speed or FX2 Speed. To change the amplitude (or visibility) of the effect, assign the opposite FX channel to DMX 39 (Animotion Amplitude FX). 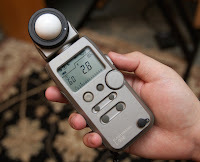 Then use the cooresponding FX speed channel to adjust the intensity of the Animotion effect. By crossfading this channel, the Animotion effect can be seen to fade in/out. 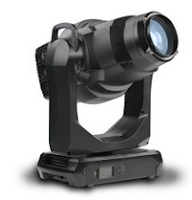 The Martin MAC Encore fixtures utilize an innovative LED light engine that provides exceptional dimming through four different dimmer curves. In addition, there may be times when an LD wishes for the engine to behave similar to an incandescent lamp in terms of dimming and responsiveness. 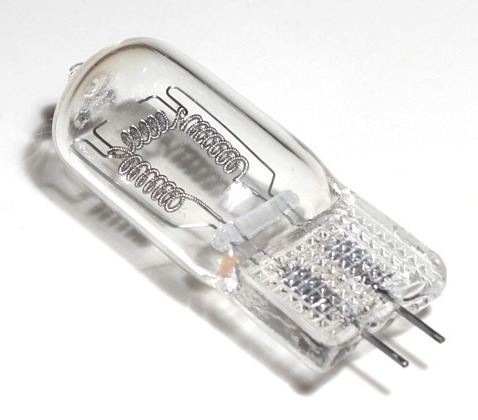 When the Tungsten Emulation Dimming feature is enabled, the fixtures will automatically emulate the red-shift common to tungsten sources dimming. In addition, the decay of a filament cooling on a DBO is replicated. The Tungsten Emulation Dimming feature can be activated via the control channel when set to DMX 72, or deactivated at DMX 73. Starting with firmware 1.1.0, the refresh rate of the LED's can be adjusted via DMX. While the default frequency is optimal for a wide variety of applications and cameras, there could be special conditions where a designer needs to adjust the PWM frequency. To adjust the PWM Frequency via DMX, select DMX 6 on either FX1 Selection or FX2 Selection (DMX channel 34 or 36). Then adjust the rate by changing the value on the associated DMX channel: FX1 Speed or FX2 Speed. 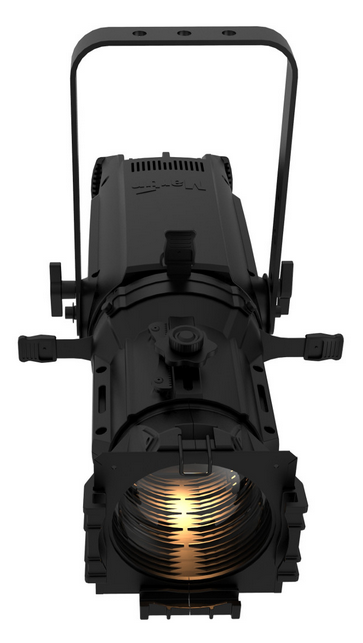 The Martin MAC Encore fixtures come in either CLD or WRM light engine variants, with each having a variable color temperature adjustment. The CLD units utilize a CTO filter while the WRM units feature a CTB filter. When a lighting rig contains both CLD and WRM units, a designer may want specific cues where the light engines match in terms of color temperature. This can easily be achieved via DMX using the Alternative Light Source feature. When activated, it will automatically adjust the selected fixtures' color temperature to match the opposite light engine's default. For instance, a MAC Encore Performance CLD unit has a default color temperature of 6000 K. When the Alternative Light Source feature is active, the CTO flag will automatically move to a factory calibrated position equal to 3000 K output (to match the default of the WRM fixtures). The behavior of the CTO flags will also "turn around" to better match the adjustment of the CTB in the WRM fixtures. The Alternative Light Source feature can be activated via the control channel when set to DMX 74, or deactivated at DMX 75. All the above information and more can be found within the MAC Encore Performance and MAC Encore Wash user manuals. They are available on the Martin website via this link. Live entertainment has been an important part of human life for thousands of years. The technology to illuminate actors, musicians, and speakers has changed immensely, although the source of the light has only changed a few times through history. From sunlight to LED’s the illumination of stages has been varied and exciting. Theater of Dionysius, Athens, Greece. 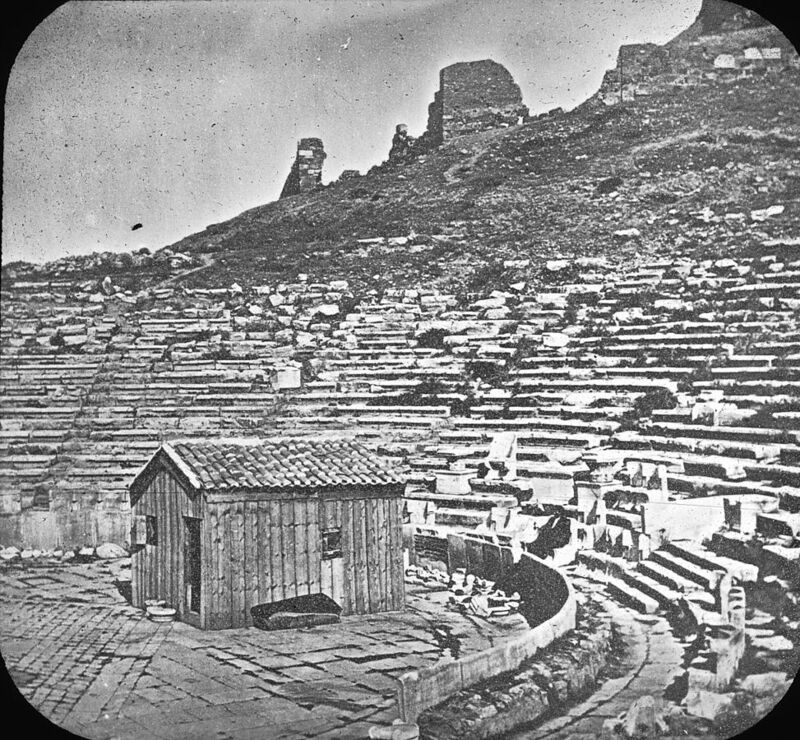 The early Greeks are credited with inventing theatre and they used the natural sunlight as their source of illumination. They would build their performance spaces so that the afternoon sun would illuminate the stage and remain behind the audience. This was around 450 BC! 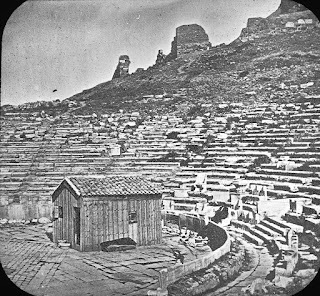 Later, the Romans improved upon this concept by adding an awning over the audience to reduce glare from the large light source. 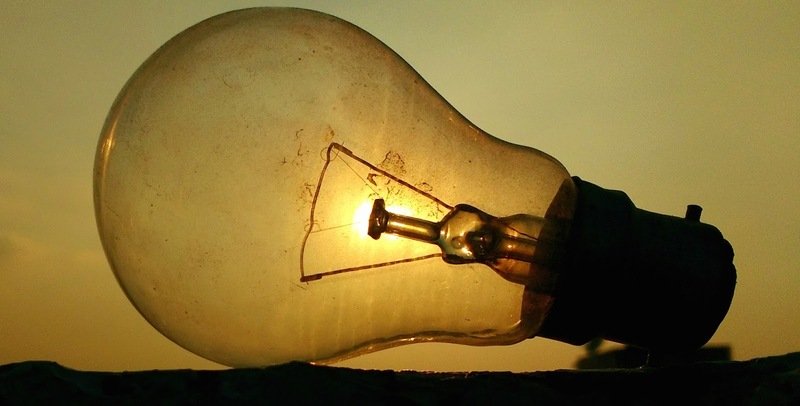 For thousands of years the sun was the primary source of entertainment lighting. 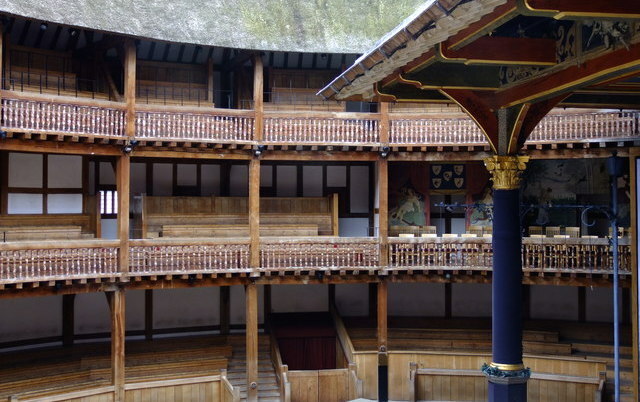 In the 1500s, theatre began to move indoors and thus the need for a new source of light was required. 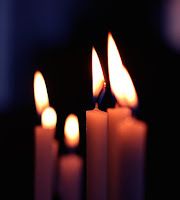 Candles were commonly placed on large chandeliers hanging over the audience as well as in sconces on the walls. In some cases, chandeliers would also be placed over the stage and candles were also placed on the floor (footlights) and on the sides of the stage on ladders. The dripping wax, smoke, and continual re-lighting and trimming of candles was troublesome, but tolerated. To increase brightness and provide focused illumination, reflectors began to be used with candles in the 1600s. The late 1780s saw the development of a new light source that became known as an oil lamp. It used a wick and vegetable or animal fat oil with the flame enclosed in cylindrical glass. For specialized theatrical effects, colored glass was used. 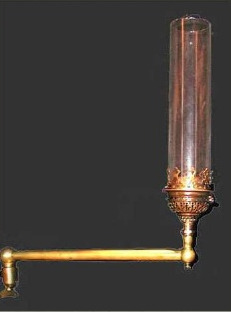 Historians note that the Haymarket Theatre in London used levers to raise and lower tinted glass in front of the oil lamps, thus creating lighting changes on stage. 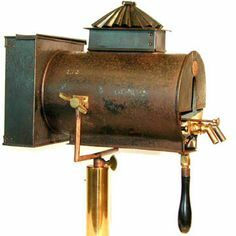 Further improvements to oil lamp technology came via the use of new lamp designs and new fuels such as kerosene. These changes provided brighter and whiter output, but were still dangerous due to the flame and fumes. The early 1800’s brought about gas-controlled lighting. Gas was fed through pipes to burners placed on and over the stage. The output was significantly brighter than oil lamps and allowed for a new level of control. By adjusting the amount of gas to each burner, the illumination levels and areas could be adjusted. For the first time, the audience lighting could be dimmed while the stage remained illuminated. Late in the 1830’s a new invention known as limelight became popular for entertainment illumination. A block of lime could be heated up to a point that it would become incandescent and emit a bright white light. The small and intense area of light was often placed in front of a reflector to provide control of the output. This quickly led to the ability to place lighting fixtures in the auditorium and allow uses such as front lights, followspots, and even movement effects such as fire and water. The earliest electrical form of entertainment illumination appeared in 1846 at the Paris Opera. 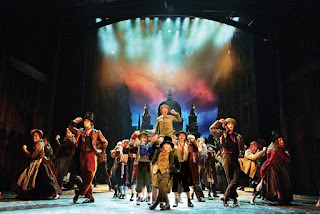 A carbon-arc source was used to create a beam of sunlight on stage. 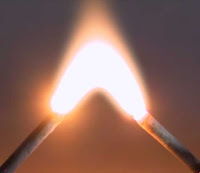 The carbon arc lamp creates light when two rods of carbon are electrified and touched together. As they are pulled apart an electrical arc across the gap will continue. The carbon tips will heat and burn producing a carbon vapor within the arc that is extremely luminous. Thomas Edison is credited with creating the first incandescent bulb and by the 1880s it was being used in theater. Over the next 40 years, gas and limelight were completely replaced by incandescent electric light. 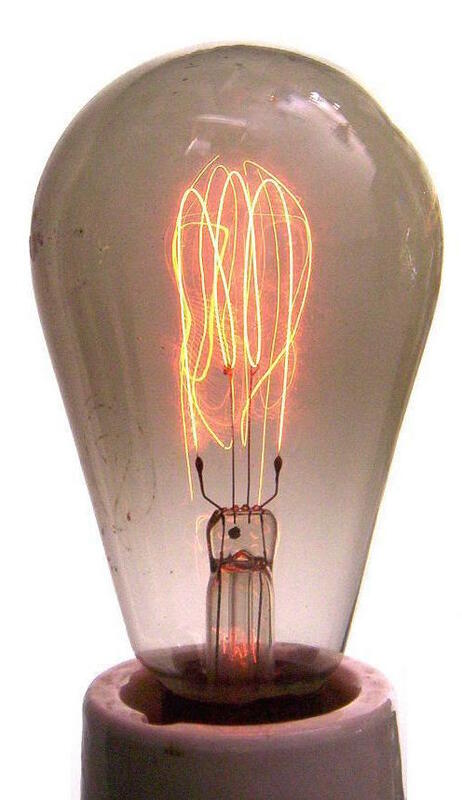 These lamps first used carbon filaments and were later replaced with metallic filaments such as tungsten. The mid-1960’s saw the adoption of improved incandescent lamps that used iodine or bromine (Halogen elements) within the lamp to create a chemical reaction that re-deposits evaporated tungsten back on the filament. This resulted in a much brighter output with consistent color temperature and a long life. In the 1980’s as automated lighting began to enter into the entertainment scene, the use of High Intensity Discharge (HID) lamps grew rapidly. These lamps produce light by creating an electric arc between tungsten electrodes. This arc occurs in a quartz tube that is filled with a mix of gas chemicals. When heated the chemicals evaporate and form a plasma, which in turn increases the intensity of the light produced by the arc. Many automated luminaires such as the Martin MAC Viper Series still use arc-source discharge lamps due to their output, efficiency, color temperature, and cost. Originally invented in the early 1960’s, LED’s have recently taken over as a primary light source in entertainment fixtures. 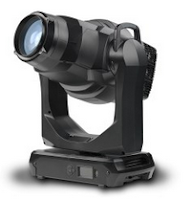 Starting around 2008, LED based stage luminaires could be found on stages worldwide. 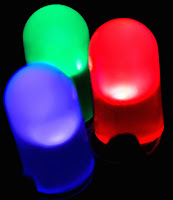 An LED is a semi-conductor that produces light by creating a flow of electrons within a mix of materials. The mix of materials will determine the color of the photon output. Using a blue LED to excite a phosphor creates white light. LED’s are extremely energy efficient and have a long life span. The rich colors and high output of LED’s have led to the creation of many new types of lighting products. The latest LED sources are capable of high output with superior color rendering as seen in the Martin MAC Encore Series. 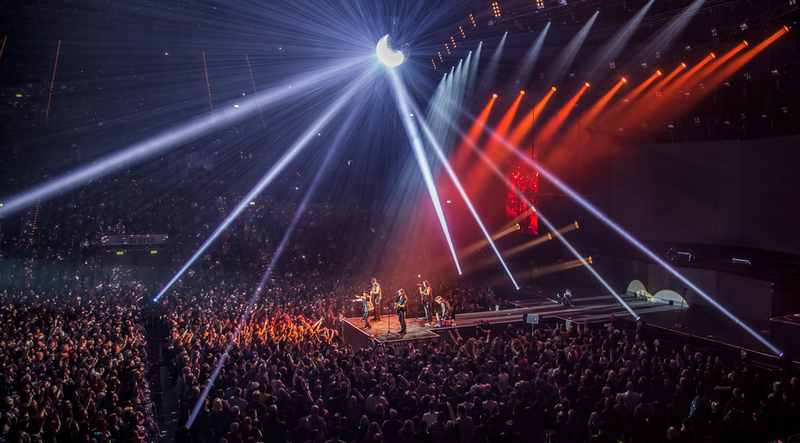 Entertainment lighting sources have varied through the ages, but the main purposes of illuminating the stage and creating effects has remained the same. From early sunlight to modern LED fixtures, the path has been varied. The future will surely see further innovations and new methods of light creation. The Martin by Harman P3 Processor is extremely powerful and invaluable for anyone working with VDO Creative Video products or VDO Face 5 panels. I have written before about the great mapping abilities, the processing power versus DMX, and more. The P3 Processor system is much more than a video processor and mapping software. In fact, P3 has the ability to dynamically re-map video elements according to their position in real time. This is particularly useful when a production has moving elements such as trusses, set piece, video walls, or other concepts. Imagine a video wall rotating its position as it flies above the stage. With P3, the imagery on the wall can remain automatically correct, even thought the wall’s position and orientation are changing on stage. This is all possible through the use of instantaneous data input to the P3 processor from a Tait Navigator or Kinesys system. As the positional data is received, the P3 will dynamically move the referencing fixture(s) through the video input thus adapting the imagery accordingly. What if your show does not have the budget or ability to use the Tait Navigator or Kinesys system? Don’t worry as the P3 Processor can still allow you to easily change the mapping layout through the use of presets. The Preset buttons on the bottom of the P3 screen can be used to change the layout of the VDO devices. This way if your video elements are in a different configuration for Act I versus Act II, you can easily change as needed. Furthermore, you can also trigger these directly from your lighting console via an Art-Net input to the P3 processor. The automated lighting industry is full of different metrics used to compare diverse properties of various products. Most people understand measurements such as Lumens, Lux, Foot-Candles, hertz, and dB, but color rendering has recently become the newest concern for many. Color rendering scores can help designers determine how well colors (sets, costumes, skin tones) will look when illuminated by a particular light. Many manufacturers will refer to the CRI of their product, while others are using CQS, TM-30, and/or TLCI as methodologies for explaining the color rendering properties of lighting products. These scales are important as they describe the quality of the light and how colors will appear when illuminated by a specific source. The following provides a brief overview of each color rendering methodology and how the measurements are achieved. Every color rendering system has the same goal: to describe how well a light source (or fixture) will render specific colors compared to a known source (typically pure daylight or pure tungsten). Usually there is a defined set of colors and a score is given based on how well each color looks when lit by the source compared to the reference. If a color does not look good under a specific source (think a red shirt under a florescent) then a lower score is given for that particular color. The measurements for all the chart's colors are then averaged together to create an overall score (usually on a 0-100 scale). Note that a perfect score is only possible with the original source (pure daylight or pure tungsten). Because it can be very difficult to actually look at a color reference chart and determine the rendering ability of a source, light meters are regularly used to measure color rendering. They will examine the light coming from a source and use complex mathematical formulas to calculate the color rendering score based on the source's color temperature and spectrum. CRI or Color Rendering Index is currently the most commonly provided metric for color rendering, which is a shame as it is also the poorest. Basically it consists of eight* colors that are given a 0-100 score and simply averaged together. The eight colors primarily consist of skin and nature tones, but not any saturated hues. Because these eight values are simply averaged together it is possible to get skewed results. For instance, a source that scores high on seven of the values, but very low on one could still result in a high CRI value. Furthermore, manufacturers can adjust the CRI score simply by filtering certain wavelengths to get to a better average score (although not necessarily better light output). *The full CRI specification consists of 14 colors, but typically only the first eight are used for calculation. The Color Quality Scale (CQS) uses 15 color references and instead of a basic average, it uses a root-mean-square calculation methodology. This squares each value before averaging resulting in a much more fair result where even one bad value will greatly affect the total result. The chart contains many saturated colors and is considered a much better scale than CRI. The Illuminating Engineering Society (IES) created the TM-30 metric to replace CRI. This scale uses 99 color references based on real world color objects and again uses the root-mean-square calculation to determine the final score. This is known as the TM-30 Fidelity index (Rf). This standard also provides a Gamut index (Rg) which scores the saturation of the colors as over or under saturated. An Rg score of 100 means a perfect match, with greater than 100 being over saturated and below 100 being under saturated. Furthermore, TM-30 reports provide color vector graphics to visibly display which wavelengths are over or under saturated. The Television Lighting Consistency Index is specifically designed to represent how colors will render on camera as opposed to the human eye like the other metrics. Using 18 colors and the root-mean-square calculation method, TLCI results also provide data to help make appropriate corrections to the video image. With so many different color rendering metrics to choose from, it can be confusing to determine how well a specific light will render colors. It is important when comparing fixtures to understand how scores are calculated and what they are based upon. CRI is the worst choice, while CQS and TM-30 are much better references. TLCI should always be used for television. Further detailed descriptions of each of these color rendering methods can be found on Mike Wood's website. Martin lighting now provides full metrics for all the above color rendering scales in fixture photometric reports starting with the MAC Encore series.